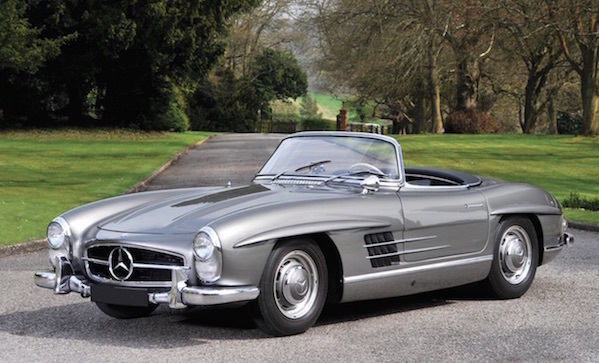 Once upon a time, you could pick up a Mercedes-Benz 300 SL Roadster for $11,000. The car was popular amongst movie stars, racecar drivers, and the wealthy. These days, expect to pay over a million dollars—still a wealthy man’s car, but said man would almost certainly be a gearhead. The Mercedes-Benz 300 SL Roadster can manage 240 bhp on a 2,996 cc SOH inline six-cylinder engine. It has a four-speed manual gearbox, independent front suspension, independent rear suspension, and four-wheel hydraulic drum breaks. It’d be tough to imagine a better ride in the late 50’s, but what makes this car timeless its is impeccable design. This one goes to auction mid-May.